The mission of the Gloucester Meetinghouse Foundation is to preserve the 1806 landmark, Gloucester's last-surviving historic Meetinghouse, as a civic hub, entertainment venue and community center. The Universalist Church Meetinghouse is Gloucester's oldest standing church. The building was completed in 1806 and is also the foremost landmark of the Gloucester Historic District, a jewel of the Harbortown Cultural District and an icon on the Gloucester skyline. The building was listed in the National Register of Historic Places during the 1970s and is also on the Massachusetts State Register of Historic Places. Architecturally, the Meetinghouse reflects a Federal style popularized by Asher Benjamin and adapted by Colonel Jacob Smith, an Ipswich house wright whose work was popular among Gloucester ship owners and the growing merchant class of Essex County around 1800. It is a majestic Palladian temple, standing at the head oflong, tree-lined green. Its distinctive facade and its beloved lantern steeple are now restored to their original buff yellow and dark green colors. As the first Universalist church in America, founded by Rev. John Murray in 1779, early members battled for religious freedom and social tolerance. 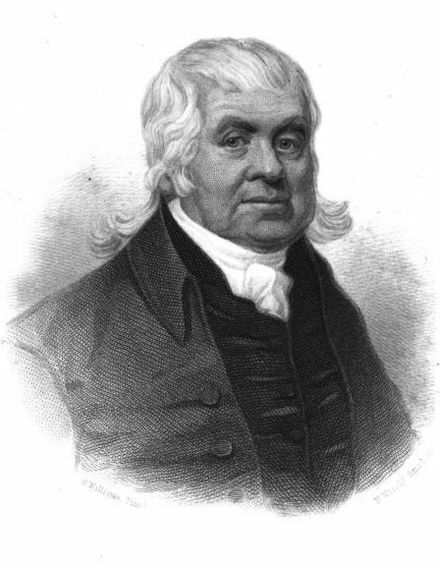 Persecuted for their refusal to pay taxes to support the "established church," the congregation won a landmark ruling from the Massachusetts Supreme Judicial Court in 1786, which affirmed separation of church and state and is thought to have been influential in gaining adoption of the First Amendment to the U.S. Constitution. Members were active in the freedom issues of their day, as evidenced by the signature of Gloster Dalton, a freed African-American slave, on the church's original charter. The long term goal of the Meetinghouse Restoration Project is to complete a historically informed but fully functional building restoration, both to preserve this important landmark and to be a cultural gathering place for all of Gloucester and Cape Ann. The church has a long history of community service, with a congregation eager to share the space. Until it can be protected by a comprehensive fire-sprinkler and detection system with fire-stops in the walls it will remain at grave risk of loss. The building will continue to be maintained by, and will in turn support, the needs of a vibrant, diverse congregation with a distinguished place in the history of building social conscience in America. This endeavor has strong support from the Massachusetts Historical Commission, the City of Gloucester, civic leaders, and the community at large. The Gloucester Meetinghouse Foundation was founded 2015 and is dedicated to community-wide preservation support.